Getting permission to paste is HIGHLY recommended. The biennial event, Month of Photography 2019 is in full swing, and a big part of MoP is The Big Picture. As usual, Reed Art & Imaging figures heavily into the mix. To date, we’ve printed over 220 large scale wheatpastes for some 25 artists and photographers. 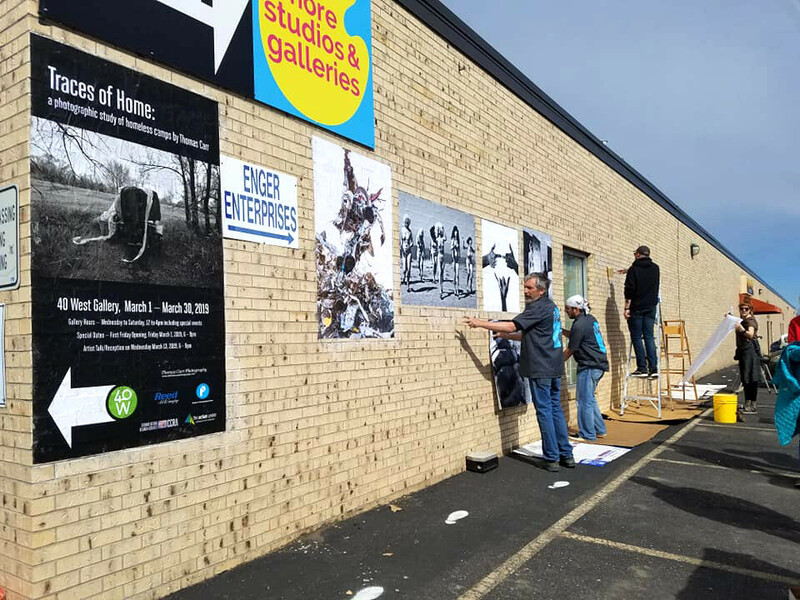 This year’s event marks the first time MoP wheatpaste art has been printed in full color. For the uninitiated, the most commonly known example of this once ubiquitous advertising medium is French painter and printmaker Henri de Toulouse-Lautrec, who raised the practice of bill posting to the level of street art in the 1890’s with his elaborate scenes of wild Parisian nightlife. Though the popularity of the art form has ebbed and flowed, it has never gone away, and, in some respects, has even gained in popularity. Known as “flyposting” in the United Kingdom, street artists like Shepard Fairey leverage this old school marketing tactic to make provocative social and political statements, oftentimes in contradiction to the accepted or conventional wisdom of the day. The basic wheatpaste equation? 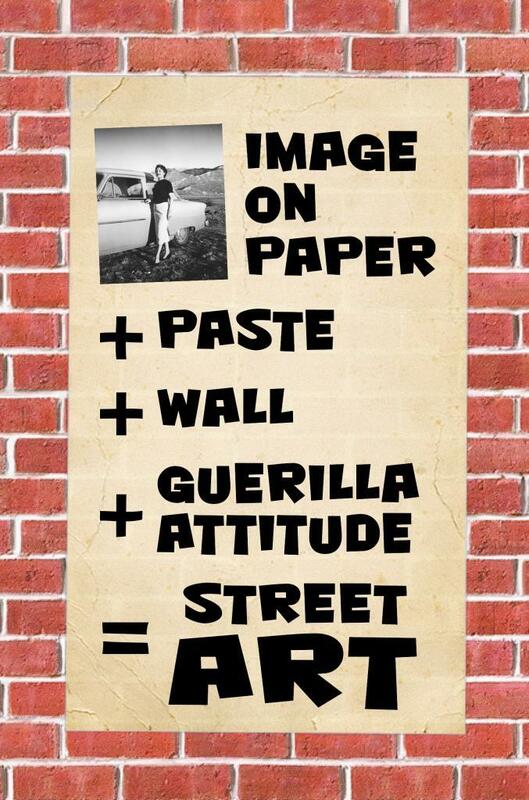 Image on paper + paste + wall + guerilla attitude = Street Art. As with all things MoP, The Big Picture has been advancing the cause of photography through the art of wheatpaste for some time now. In addition to Denver, Big Picture 2019 exhibitors can be seen in galleries and streets across France, Italy, Switzerland, The United Kingdom, New York, Jamaica and Mexico. 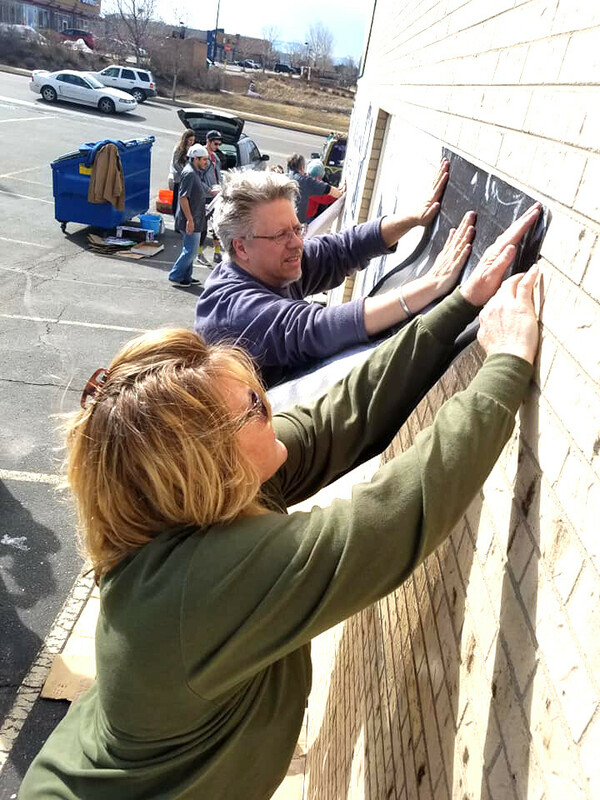 Closer to home, the father of MoP and The Big Picture, Mark Sink spearheads the wheatpaste cause with activities across the Denver Metro area. Below, Mark & Friends (including some of the Reed gang) on a recent wheatpasting of the south wall of the 40West headquarters in Lakewood.